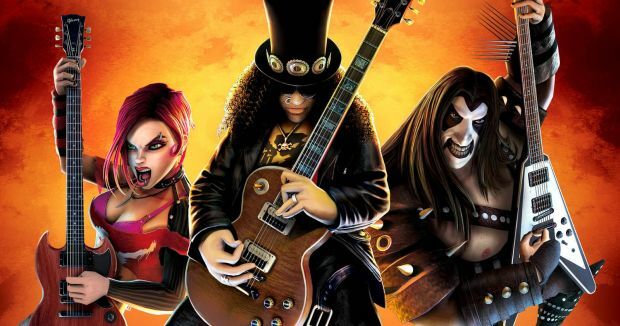 Activision Blizzard is set to announce its Q4 results any minute, but that didn't stop them from announcing that Guitar Hero is dead. No longer shall we have to deal with Rock Band vs. Guitar Hero arguments, as the Guitar Hero business unit has been disbanded and all work on the 2011 Guitar Hero game has been discontinued. Maybe there is a God after all! Development on True Crime: Hong Kong has also been stopped. Which might be one of the reasons you probably didn't hear anything about it for a while now. Activision Blizzard will instead focus on Call of Duty titles, the development of a "best-in-class digital community surrounding the Call of Duty franchise" -- good luck with that -- a new Bungie IP and some new and "innovative universe with broad appeal" that will be revealed at Toy Fair later this week.